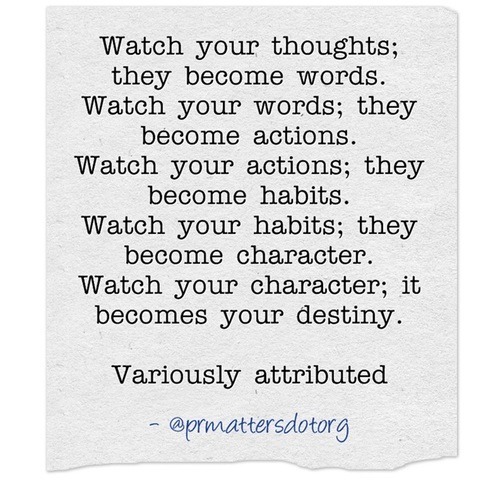 quote	Quote of the day: Watch your thoughts, words, actions, habits, character … they become your destiny. Is Boris Johnson as Foreign Secretary a Huge Error of Judgement by Theresa May? Are Recruiters on LinkedIn Connecting for You – or Mining You for Your Connections? 13 Truths About PR ― How Many Do You Believe In?